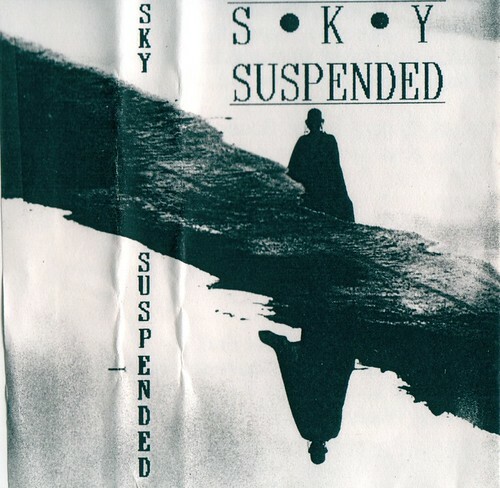 Somewhere on Facebook, there's an incredible picture of Aaron Booth and Aaron Smelski as part of this band, looking very, very early 1990's indie rock. Both those lads have gone on to great things - Mr. Booth has put out several fantastic records, and Mr. Smelski is the guitar brains behind Hot Little Rocket. We think this marks the first Rob McAlister-related project we've posted thus far. "The Quitters quit and no one cared / I sat in my bedroom and stared / at the wall" - Lorrie Mattheson (Fire Engine Red). 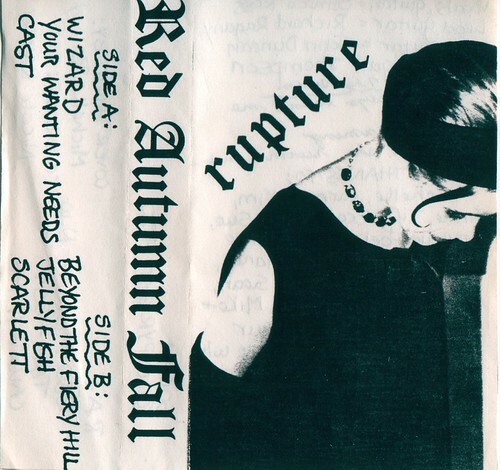 I honestly didn't know this tape existed until Joe slid me a copy at a Straight show. Not quite the classic that Fuzzball is, but still pretty fine. "White Inside" is reworked on Straight's Palm Springs CD. Simeon, Simeon - it was really nothing. But you can listen to it here. We remember reading a review of this in some west coast-based magazine, and they totally panned it. 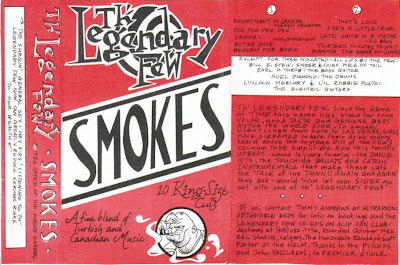 We were so mad - for us at the CCPS, this stands as one of the best recordings to come out of Calgary in the early 90's. Chock full of fuzzy pop goodness, via the garage. 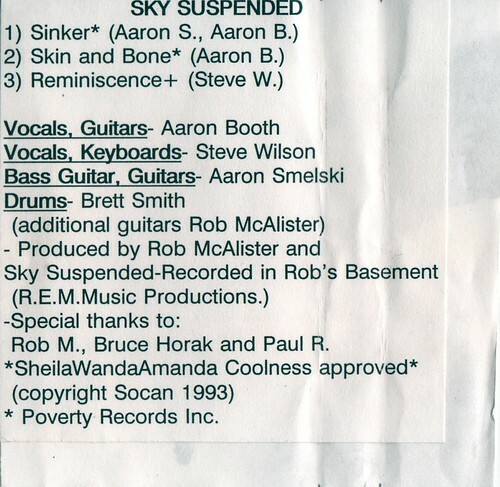 Joe McCaffery and Cheryl would go on to form Straight, which gave us the brilliant single "Vacant." 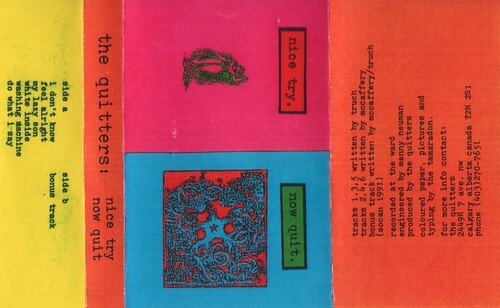 "The Beautiful People" got reworked for Straight's second CD, Palm Springs. Listen to Fuzzball at our new link! 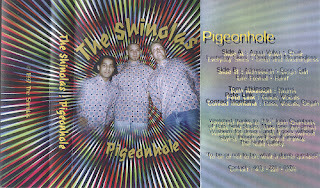 Featuring Ian Doig of the Parkades and a couple of his art school buddies (and a surly (male) bass player with a dress), TFD were low fi pop at its best. Recorded by young Dave Alcock when he was really, really young. With Feist's last album on pretty much every critic's year-end list, this is, well, as questionable as it was at the time. Recorded with Jeff Burns. 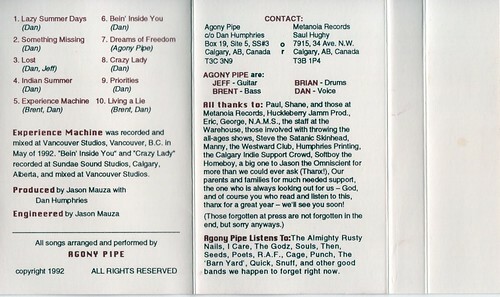 I think pretty much everything recorded in Calgary between 1993 and 1995 was with Jeff. We rarely go back an update a post, but we're making an exception for this. We originally simply cross-referenced the great work over at Golden Rock: http://golden-rock.blogspot.com/2007/02/color-me-psycho-kiss-me-then-1986.html. 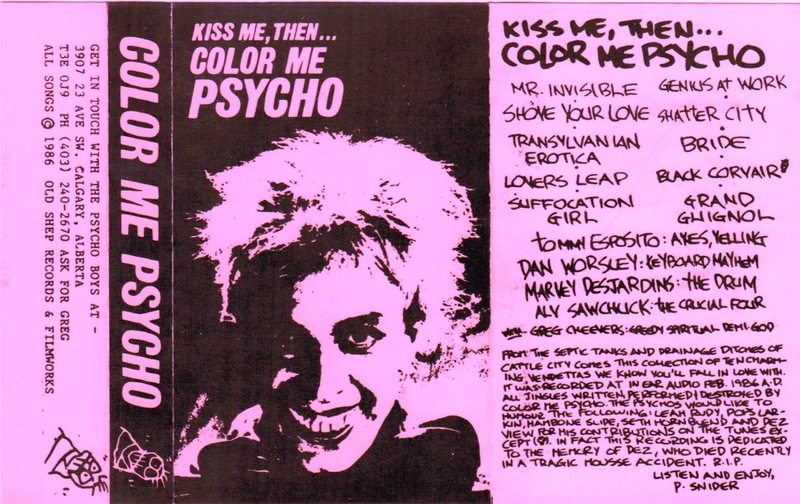 Recorded at In Ear Audio Feb. 1986 A.D.
All jingles written, performed & destroyed by Color Me Psycho. In retrospect, this needs a bit more than that flippant treatment. But but there's already been a lot said about this tape, so we're not sure what to add here. Oh, how about an article by James Muretich? We also recommend you check this link at the often-brilliant-but-seldomly-updated O Canadarm! 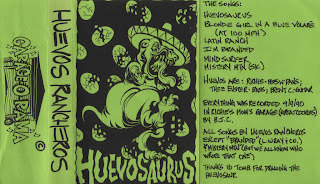 for a wee bit more history, straight from Tom Bagley. I can't remember much about these guys. There's a link to the Ramada Gods in there somewhere, and I believe their bassist, Brent, has gone on to be a part of Vailhalen. A young man does battle with his 4-track. 03. Do You Know Why? 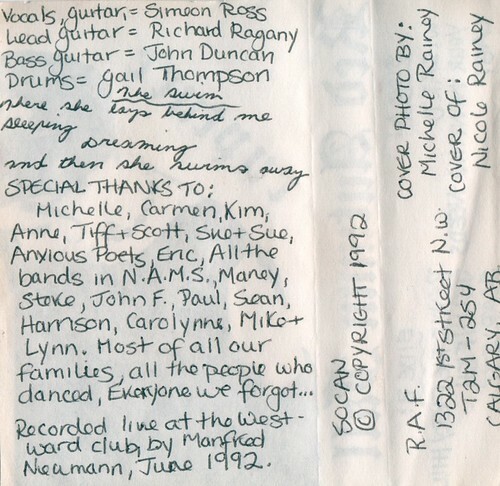 To my ears, this cassette sounds better than FD's first CD release, Sin Gallery. Must be the undead drum machine. 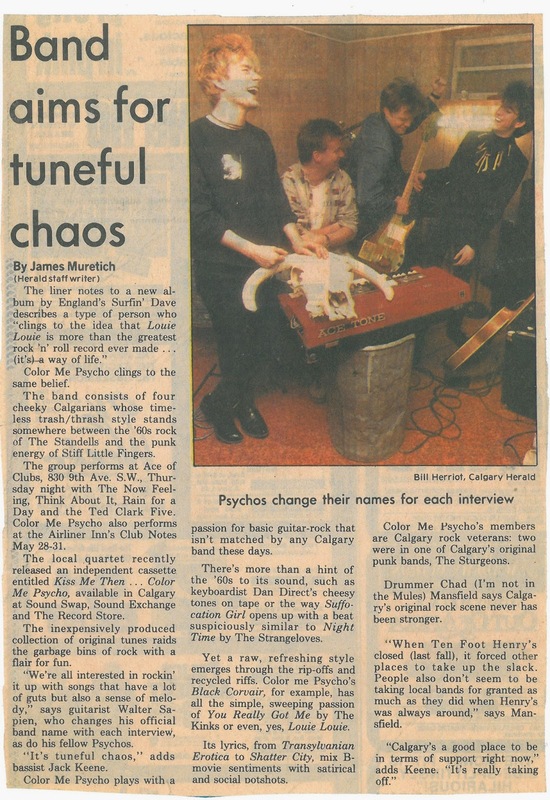 You can find some Color Me Psycho over at O Canadarm! What a strange little fire. It's almost like Hallowe'en.